Burn Injuries - The Gerardo Cantu Law Firm, P.C. Have you been in an accident and suffered a burn injury? Has a loved one? Do you think that you are getting the quality of medical care that you need? We want to make certain that you are. In fact, when you enlist our lawyers, that is the first thing we will do. We will use our resources to see that you get quality medical care from the top medical providers. Only then will we move on to the next step: seeking compensation from whoever caused the accident. At the personal injury law firm of The Gerardo Cantu Law Firm, P.C. in Houston, Texas, we handle all burn injury cases on a contingency basis. 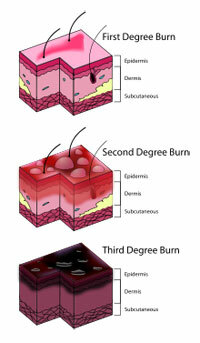 Burn injuries are some of the most painful injuries you can suffer. Victims not only suffer physical pain, but the emotional pain can last forever. Burn can result from chemical burns to building fires caused by faulty wiring. Burn injuries can happen for a variety of reasons. In order to build a strong case, we must investigate to determine exactly what caused a burn injury. We have the experience and resources to investigate accidents involving fires, electrocutions, chemical burns and more. We will quickly determine how the incident occurred. We will find out who is responsible. We will learn why steps were not taken to avoid it. In many cases, a burn injury is the result of a defective product, such as a household appliance or an automobile. We will preserve the product so our experts can carefully examine it. We will take every necessary step to see that you get the compensation you deserve. Contact us for a free consultation: Call us or send us an e-mail. Get in touch with us today to discuss your burn injury case with an experienced lawyer.